Silvermist is a family owned Organic Wine Estate situated on the upper most slopes of of the Constantia Wine Route. The conversion to Wine Estate was inspired by Gregory Brink Louw who has worked tirelessly over 18 years to create the only Organically Certified Wine Estate in the Constantia Valley. The invasive alien trees were cleared by hand and the wood is reused in the building, wooden decking as well as featured art in Silvermist Hotel. It took Gregory and his trusty team 3 months to chop down the trees for the Single Organic Vineyard, 3 years to pick up the wood and 10 years before sipping the fruits of their labour as the first bottle of Silvermist Organic Sauvignon Blanc 2010 vintage was released. The sweet taste of passionate perseverance. His life ethos has been incorporated into his craft to create classic Constantia Wines in a sustainable and responsible manner. Greg has a simple, yet purist approach to wine-making and believes everything is a product of its environment. The vines are gown without the need for irrigation nor artificial chemicals, pesticides, herbicides or fertilizers used during the farming or wine making process. Silvermist Vineyards are certified organic by CERES( Certification of Environmental Standards GmbH) The natural fynbos is encouraged to grow amongst the vineyards alongside selected lupins and grains. This creates a unique rich biodiversity. 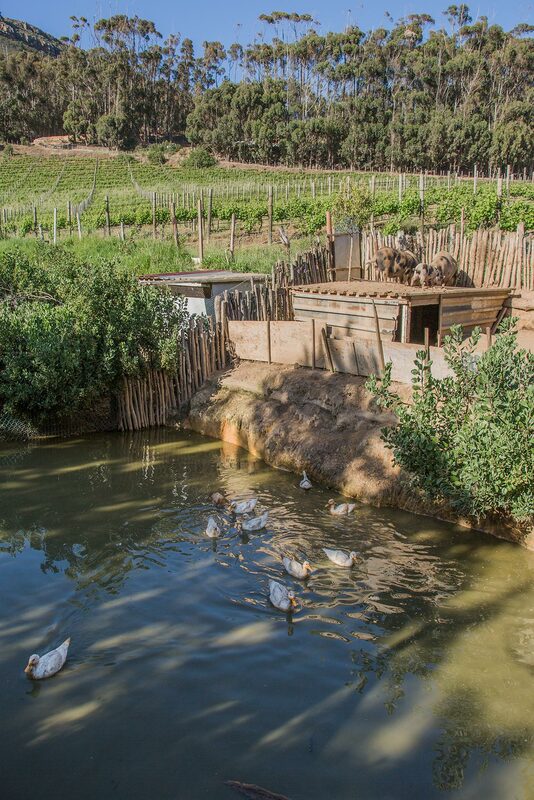 Ducks and chickens provide the pest control and at the same time fertilize the vineyards. We practice a minimal intervention approach whereby we allow nature to correct itself. All composts are prepared on the farm from natural sources to promote self sufficiency. Silvermist does not use any pesticides, herbicides or chemical fertilizers and requires no added irrigation to create and bio-sphere of living companions. 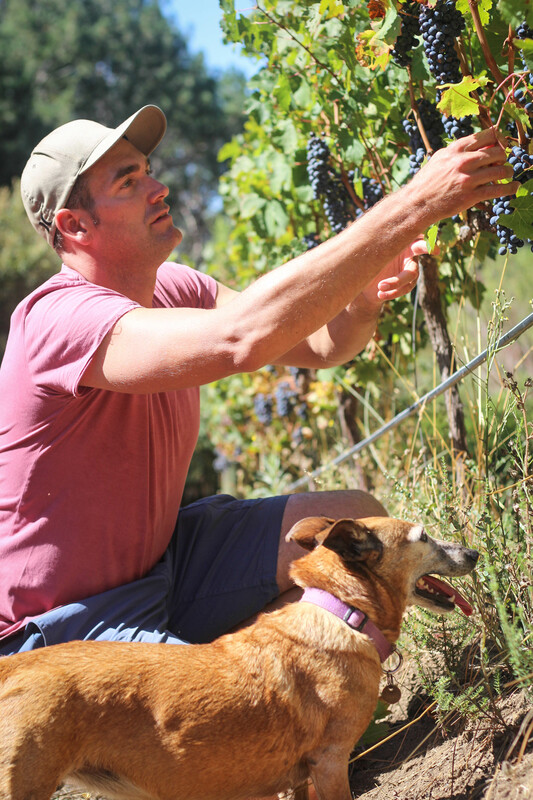 The wine maker, Gregory Brink Louw has two dogs that greatly enjoy being a part of the daily Silvermist adventures. The character filled “Cape Collie” Rescue dog is named Rooster, and appropriately so. He is always first to wake and ready to start the day before sunrise with contagious excitement and enthusiasm. Our Silvermist Estate Mascot is Rocketdog, who is behind the famous Rocket Dog Red Blend. An abandoned ‘X’ breed street dog, so inbreed she turned orange. In her early years, Rocketdog lived only to survive – riddled with biliary, burst, battered, she was left to roam the harsh street of Hermanus with no love, food or warmth. Rocketdogs luck changed 13 year ago when she walked into Gregory’s life one memorable Christmas morning. They shared a special moment over a bite size piece of Rusk and an unbreakable bound of mutual love and understanding was formed instantly. Since that day, Rocketdog never leaves Gregory’s side and her gratitude to him is evident. 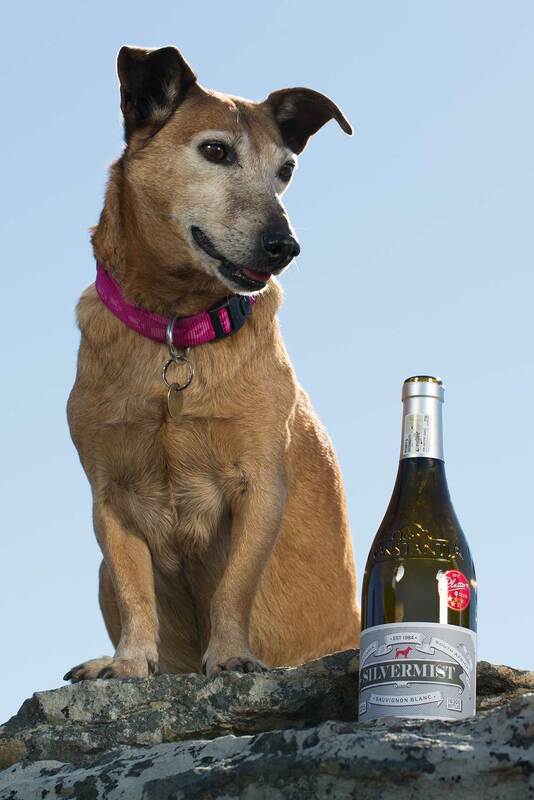 She feature on all Silvermist Wines as well as a Rocketdog Organic Red Blend is made yearly in celebration of the spirited character of Rocketdog and their ever-faithful friendship.